I think the blogging community is an amazing place, everyone is so lovely and helpful and always up for a chat! As well as writing a blog I spend a lot of my time reading blogs, they inspire me so much to improve my blog and to stick with it! Today i thought i'd share some of my favourite blogs which i think you should be following! 2. My Pale Skin- Em blog is mainly beauty, her pictures are amazing and me envious that i can't take pictures that well! My favourite part of Em's blog has to be her make-up its honestly flawless! If my makeup skins were half as good and hers i'd be one very happy person! 3. Dizzy Brunette- It's safe to say i have serious hair envy! Corrie's hair looks so amazing and effortless! ( If only mine looked like that). I love the range of posts on Corrie's blog from tags to fashion beauty and lifestyle it has it all! 4. A yellow Brick Blog- Kirstie was one of the first bloggers i found on twitter and still one of my favourites now! I love her "this week i'm loving" posts although they always require a notepad to write down products you need to buy! I've spoken to Kirstie a few times on twitter mainly about Pretty Little Liars and i can honestly say she is one of my loveliest people to talk to! 5. Anouska Loves - Anouska is another blogger who i've followed for some time now, I just love everything about her blog everything is so pretty and in place! I love how obsessed she is with lipstick from a fellow lipstick lover i could read them all day! If you ever need to see a swatch this is the place to look! I've spoken to Anouska a few times on twitter now and she's always so helpful and willing to answer any questions about her job that i bombard her with! 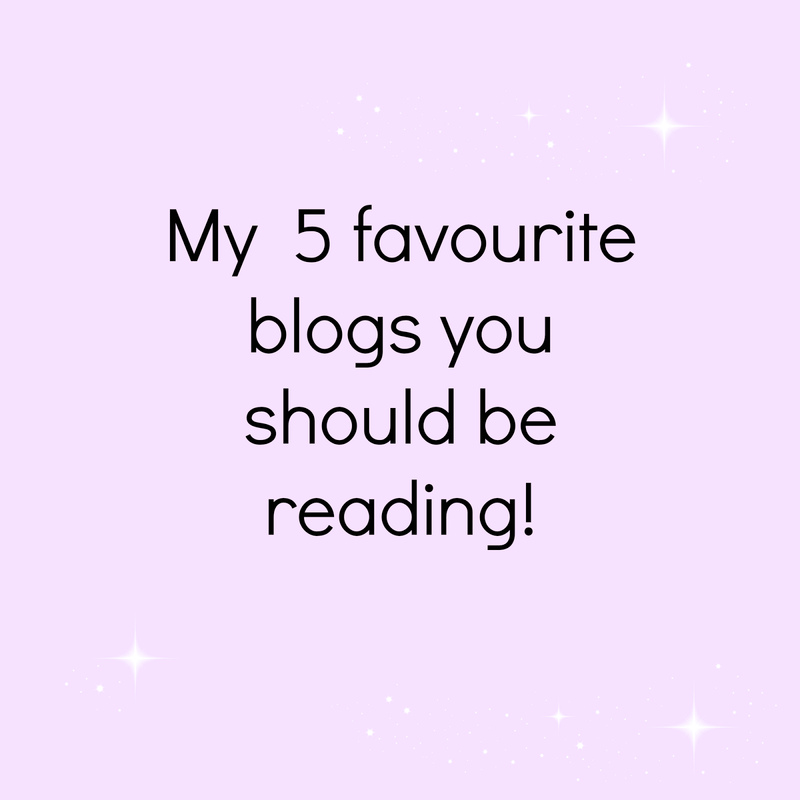 I hope you enjoyed reading some of my favourite blogs, i'd love it if you left your recommendations of your favourite blogs so i can check them out! I was only shown 'my pale skin' recently but I fell in love with her content pretty quickly - and I agree, her photos are stunning! I'm going to check out the names I don't recognise, love these posts so thank you!! Great list, I read My Pale Skin because Em is of similar colouring to me so I can get some good recommendations :). I enjoyed reading this post because Is I love discovering new people.. I don't actually follow any of these blogs but I'll be checking them out now. Im happy to see you are caring enough to share blogs you love for everyone else to check out. Loving the layout! DEFINITELY going to have a gander.. great post.